#63190 - No blade changing required - just break off used blade and get a new sharp blade. 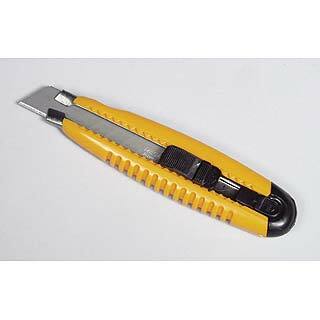 Each master blade has 24 snap-off blades. Two extra master blades are included. #63191 - Our most popular knife. 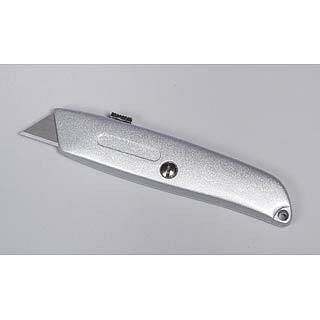 Long-lasting, heavy-duty with a durable metal casing. 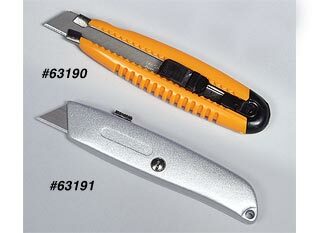 Retractable blade has 3 locking positions. Includes 4 blades.